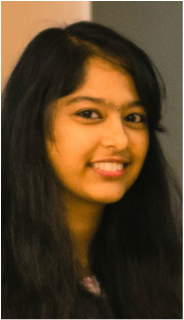 Akhila Gollakota graduated from BITS Pilani, India with a BE(Hons) degree in chemical engineering in 2012. Following graduation, she joined Indian Institute of Chemical Technology where she conducted research on computational modeling and scaling up of microreactor systems.She then got her MS degree in chemical and biological enginnering from the University of Buffalo(SUNY) in 2015. She worked in Dr.Blaine Pfeifer's lab and her thesis was focussed on synthesizing novel hybrid gene delivery vectors. She joined Penn State in Fall 2015 and was awarded the Graduate Excellence Fellowship. Her doctoral project involves working with synthetic water channels in block copolymer membranes and developing pillar[n]arene channel-based membranes for water treatment.